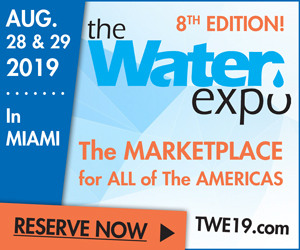 One could say that “Filtered Water, Looking Good All Through Today’s Upscale Home” was an overflowing theme at the 2003 Kitchen and Bath Industry Show (K/BIS), held April 11-13 in the shadow of Orlando, Fla.’s Disney World. Indeed, chilled processed water on tap is no longer a fantasy in the bathroom, wet bar and even inside (if not through the door) of many refrigerators. Hot and cold filtered water on tap, teaming chillers, and filters with instant hot taps were other visible product niches. Chillers and water coolers, including those with gravity-fed filtration, were more prevalent at this year’s show. Finally, new filtered faucet styles and finishes will give discerning homeowners more choices than ever and, perhaps more importantly, the ability to coordinate filtration with nearby mixers, and even with metallic cabinet hardware in the kitchen and bath. This year’s show, celebrating the National Kitchen & Bath Association’s 40th anniversary, drew over 40,000 dealers and affiliated trade representatives from across the United States in a lovefest for connoisseurs of high-style appliances and faucets. Last year’s show in Chicago drew a record 55,944 attendees just six months after 9/11. K/BIS will return to Chicago in 2004. Moen, the perennial category leader, again showed its top lines of PureTouch filtration faucets. The PureTouch Classic features a fixed-spout. The PureTouch professional and Euro kitchen faucets feature convenient pullout handles, and the PureTouch AquaSuite-dedicated point-of-use (POU) faucets for bathrooms and wet bars are available in a wide selection of finishes. With no new Moen products or finishes at K/BIS, the company showcased its new promotional relationship with the American Dental Association (ADA). While Moen filter faucets are NSF certified to remove a wide range of contaminants, the ADA chose to recognize the manufacturer for something it fails to remove—fluoride. According to former U.S. Surgeon General David Satcher, “Fluoridation is the single most effective public health measure to prevent tooth decay and improve oral health.” Moen’s PureTouch filtering products are the first to receive the ADA’s Deal of Acceptance because they leave fluoride in the water. Jado, an upscale division of American Standard, again showed its line of integral filter faucets—solid-cast brass faucets with ceramic disc valves and filters that mount on top of the sink or below. Unlike Moen, Jado offers no pullout filtration faucets because, as Eric Schwartz explained, “Pullouts are vulnerable to contamination when left in soapy water in the sink.” Jado’s Victorian Filter Faucet retails for up to $550. 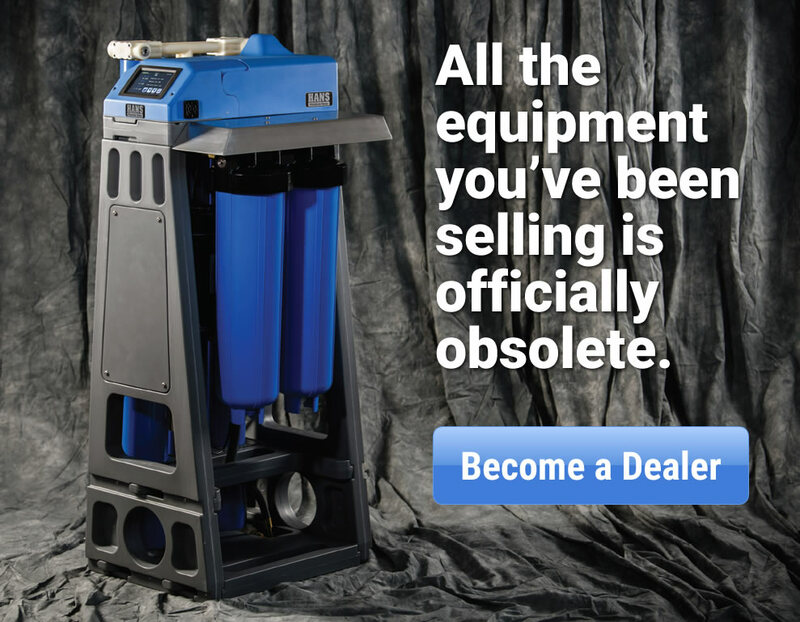 A digital reminder prompts filter replacement, and a separate water chiller is available. Meanwhile, American Standard again showed its line of medium-price ClearTap integral filter faucets that include bathroom and kitchen faucet filtration models. As with Jado, all models feature carbon block technology to reduce cysts, lead, taste and odor. 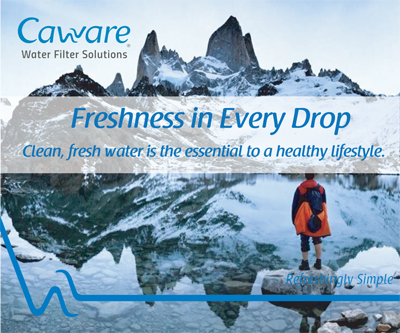 ClearTap features an electronic digital readout on the spout that counts down “gallons remaining” in the filter’s life. The single-lever faucet handle delivers filtered water through a separate tube in the spout by shifting the lever to the right. Kitchen models feature a unique deck-plate mounting system to let owners change filters without climbing under the sink. Bathroom models feature a wall-mounted cartridge that must be changed out under the sink. Like Jado, all ClearTap faucets are cast-brass construction with ceramic lifetime disc valve. Kohler has added a third cartridge to its line of Aquifer filters. The new one-micron carbon block filter meets NSF Standard 53 for VOC and MTBE reduction. Kohler’s Wellspring beverage faucets come in traditional and contemporary styles and multiple finishes including brushed bronze. KWC again showed its line of Purejet kitchen mixers with separate water dispensers and pullout spray for conventional water. Featured at K/BIS was Purejet Remote, a freestanding filter faucet with a stainless steel pullout hose. The suggested retail price (SRP) is $275 and $89 for replacement cartridges. Five hundred-gallon carbon block filters are offered in choice of NSF 42- and NSF 53-listed cartridges. Automatic water shutoff simplifies filter changes. KWC Faucets of Norcross, Ga., is a subsidiary of KWC AG, Switzerland. In Europe, KWC offers carbonated sparkling water as an option. 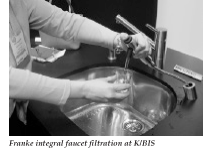 Franke, another European player, introduced its first Triflow integral filter faucet at 1993 K/BIS. Faucets featured separate “hot,” “cold” and “pure” handles. A ceramic candle with carbon block core was hidden under the sink. Franke later added a “contemporary” style filter faucet plus models with pullout hand spray and a standalone gooseneck filtered water faucet. It also offers Trifow faucets for the bathroom. All units use Katadyn ceramic/carbon block filters. Mountain Plumbing Products showed an undercounter Doulton ceramic filter along with an impressive selection of POU faucets in decorator styles and 35 finishes. Its faucets are ceramic disk quality and also offer a compact chiller that cools filtered water to 38° F, according to Jim Tomafski. 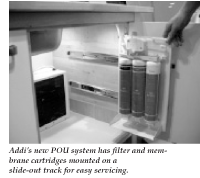 In-Sink-Erator exhibited its designer faucet line of instant hot/cold filtration POU systems featuring two filter options with quick-connect fittings. The F-501R filter is a six-month cartridge that meets NSF 53. Model F-201R is a three-month filter certified to NSF 42. 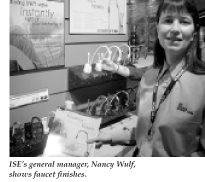 More faucet finishes are expected this fall and the company also expects to add an undercounter chiller later this year, said general manager Nancy Wulf. Grohe, Hansgrohe and Delta all denied interest in the category at K/BIS. Price-Pfister’s Nick Mahan, however, said that despite its earlier disappointing experience in filter faucets, the company is considering revisiting the category at some point. Haier America, a European appliance manufacturer, introduced its new line of Energy Star-rated water coolers in five distinct designs. Its water cooler/refrigerator and desktop cooler round out the line. The desktop unit holds up to 5-gallon bottles and measures only 13-3/4” × 13” × 18-1/8”. Addi showed a trio of colorful coolers in red, yellow and silver. It also showed a gravity-feed carbon filter bottle and a new under-cabinet RO system with optional chiller. 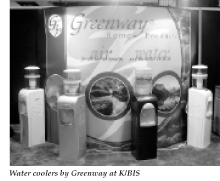 Greenway showed several cabinet water coolers. Epic showed its line of colorful ceramic water coolers with thermoelectric elements said to hold water at a constant 42°F. Everpure, a unit of USFilter’s Culligan, celebrated its 70th anniversary at K/BIS with the announcement of a new filter replacement monitor for new or existing Everpure POU systems. Model H-300+M, available in June, will be rated for 500 gallons and feature the new LED monitor lights—red, yellow and green. Everpure also showed new packaging and displays for kitchen and bath showrooms, which it sells through two-step distributors. Oasis displayed its two-stage and three-stage carbon filtration drinking water systems, designed for easy undercounter mounting with automatic water shut-off valve. The company also showed a four-stage RO water filtration system with thin-film composite membrane. 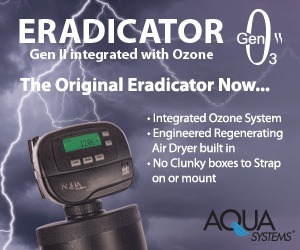 Water quality monitor is optional. 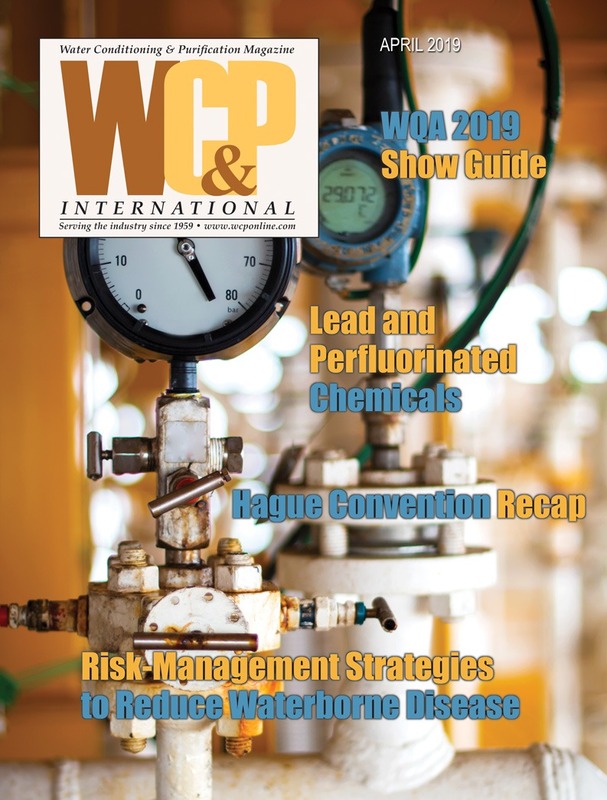 American Plumber showed its WRO-3500 monitored RO filtration system, an undercounter unit with electronic water quality monitor and an SRP of $425. The company also showed its WLCS-1000 POU chemical/lead POU system with electronic monitor. 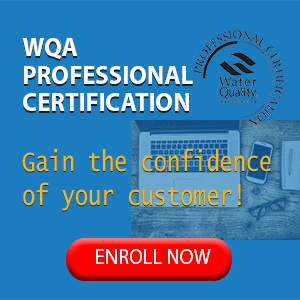 Aqua-Pure, Cuno’s plumbing channel brand, exhibited new displays and support literature for kitchen and bath dealers selling its POU drinking water systems. It also showed two air gap faucets in three colors. In addition, Aqua-Pure filters were seen in refrigerators exhibited at K/BIS. General Electric showed a single SmartWater RO under-counter system in its K/BIS booth. A spokesman noted that GE channel emphasis is currently focused on Loews and Home Depot, said to account for better than 90 percent of all SmartWater sales. For the second straight year, no water softeners were shown. Sole Water, a line of C/I and residential RO systems manuf actured by Chieh Sheng Co. Ltd., showed a wide variety of countertop and undercounter RO appliances. 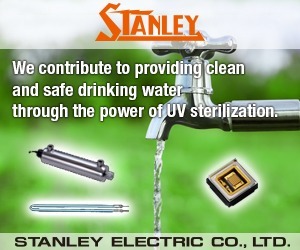 The company also makes water coolers, filters and housings. Multi-Pure showed its new carbon block countertop and undersink POU units that are NSF certified to reduce arsenic, cysts, lead, PCBs, VOC and other contaminants. Units are available with electronic performance indicators. Joneca Corp. showed its countertop UltraPura water purifier using Pura-Tap ultrafiltration membranes to remove bacteria and viruses from tap water. KX Industries, exhibiting in support of its OEM customers at K/BIS, revealed that it’s making a new gravity-fed disposable water filter for Sunbeam’s Mr. Coffee drip coffeemakers. The 30-pot filter is placed on top of the grounds to reduce chlorine, which affects coffee flavor. Eight-packs are already for sale at Cosco for $2.99, said KX sales manager Susan Ledonne. The company also anticipates offering air and water filtration products employing nanofiber technology by this time next year. Waterpik again showed its line of faucet filters, made to fit existing kitchen faucets. The 200-gallon faucet filters are rated for cysts, lead, taste and odor and begin at suggested retail of $24.99. The units feature green/amber/red LED indicators for filter changes. 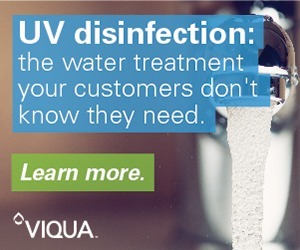 Greenway showed its ultraviolet (UV) POE water treatment system for disinfection. Sole Water also showed UV equipment at K/BIS. HydraBaths introduced HydraZone technology for whirlpool baths, which combines UV and ozone to destroy bacteria in bath water. 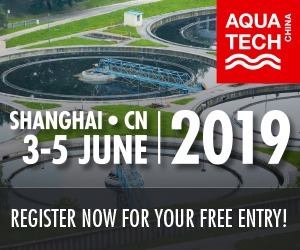 Vitabath is an OEM, which exhibited products with HydraZone technology at K/BIS. Sears also showed Kenmore distillers. 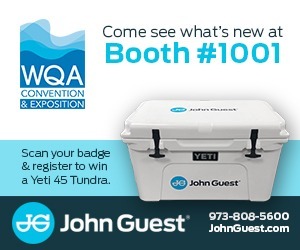 Morton, displaying in the WQA Pavilion, showed three models in its System Saver water softener line. Its timer model carries an SRP of $297. The 27,000-grains model retails for $389, said Morton’s Dennis Gallifent. The company is running 60-second commercials on the Buyer’s Shopping Network, including spots on TNN, Lifetime and USA cable networks targeting the hard water market. Viewers may call a toll-free number for direct purchase and shipment to their homes. 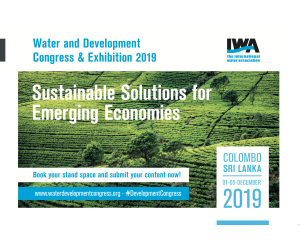 WaterBoss, a Hague brand, showed the same redesigned compact water softener product line seen at the 2002 Hardware Show. 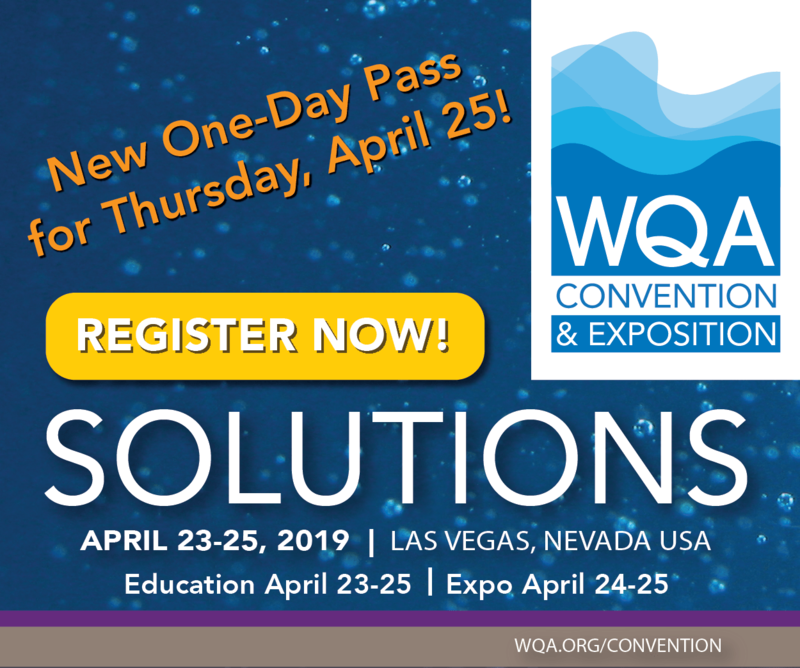 H20 International, exhibiting with the WQA Pavilion at K/BIS, showed two Sunbeam brand shower filters with KDF55 media including one with a showerhead included. Paragon, which makes H20’s filters, had other shower filtration products on display in two other booths. Paragon’s George Lutich showed the company’s new wall-mount shower filter and a new shower arm filter. He also said Paragon has developed a new shower filtration media for sulfated water. Sole Water showed a shower filter cartridge that combines KDF and calcium sulfite media. The 2003 K/BIS Show in Orlando showed a wide variety of water treatment products, suitable for all locations in the home. Most were undercounter built-ins, integrated into kitchen faucets, or side-by-side refrigerator-freezers.